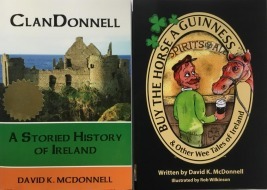 ClanDonnell will be at The King’s English Bookshop on May 21, 2019, to tell some Irish tales and whatever else folks might want to hear. Weather permitting, we will be on the patio! We’ve heard tell that there is no better book store in Salt Lake. More details to follow.